Someone is stealing all of the 'A's in the book. 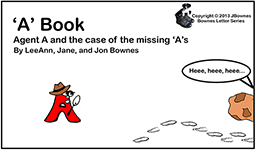 Help agent A solve the case and return things back to normal. 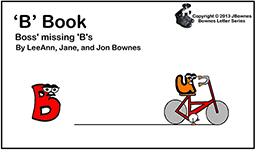 Someone is stealing all of the 'B's in the book. Help the boss find the missing 'B's and return things back to normal. The ‘C’s are missing! 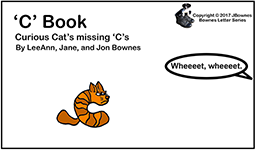 Help the curious cat locate the missing ‘C’s. 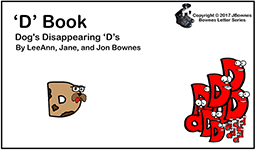 Help the dog discover what happened to all the 'D's in the book.